Saying the company was “about 50 percent through a major transformation,” Avid Technology, Inc. (NASDAQ: AVID) President, Chairman and CEO Louis Hernandez spoke with Benzinga about that transformation, including Avid’s recent acquisition of Orad Hi-Tec Systems Ltd., a leading provider of state-of-the-art 3D real-time graphics, video servers and related solutions. 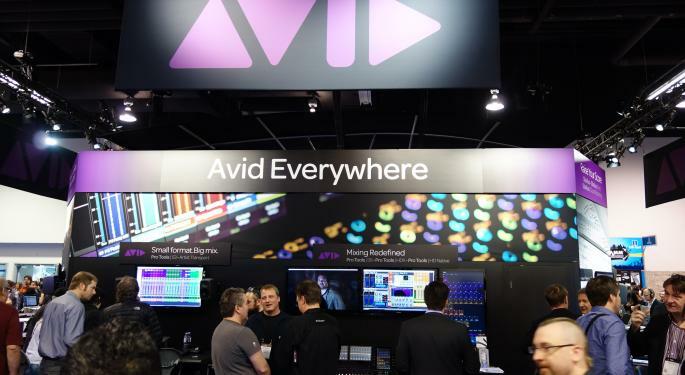 Related Link: Inside Avid Everywhere With Avid Technology, Inc. CEO Louis Hernandez, Jr.
Benzinga: What precipitated the Orad acquisition for Avid? Louis Hernandez: We spent quite a bit of time and energy building the AvidMedia Central Platform to run our own applications or any third-party applications. We were confident we could put (third party apps) on the platform, leverage what we've already built and deliver more efficient, integrated solutions to clients. Orad represented fantastic technologies. We were most interested in what they were doing in broadcast graphics. Their heritage product was something we really needed for our newsroom and broadcast clients. We thought it'd be nice to have a direct product that you can just turn on within the platform. 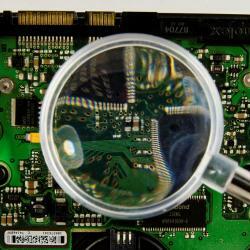 BZ: How will Orad technology be used? LH: We're going to be getting more into the sports and live sports market. Orad’s sports products are going to be some of the anchors when we launch our sports package. It’s like the iOS on your iPhone. You have applications that are broken down by suites. We're going to have a way for you to turn on a package, which’ll turn on certain applications within certain suites to optimize certain segments, like sports. We also have a cloud-based production studio capability, which we think will complement the cloud-based collaboration we launched including the cloud-based services for media composer and for pro tools. It's really for entry point, low-end station groups, but a very efficient way to run a production studio. Finally, fantastic people are located both in Poland and in Israel. We really like the people, we love the technology and we felt we could integrate it into the platform. BZ: You completed the transaction June 23. Were there any surprises? LH: I think we're at or ahead of where we expected to be. Integrating products is never as you expected. In some cases, it was much simpler than we thought and in some cases, it was harder than we thought. For instance, we thought the cloud-based broadcast components would be easier because the platform is enabled by cloud, and we already run AWS. That was actually tougher than we thought. We thought the integration of graphics would be more complicated. However, because of the way the connectors were written that was simpler. I think we've been pleasantly surprised by the people. We promoted their HR and finance director to an executive position here and that helps with integration, because the staff (at Orad) sees that we really just want the best players, no matter where they come from. BZ: When Jewelry Television (JTV) decided to utilize Avid Everywhere, Avid compared the operation to live sports. Does that mean Orad fits into live retail television? LH: Story telling of all forms, including selling items and telling a story about those items, means to inspire, to educate, to inform and to connect others. People are realizing the more common services exist, the cheaper it's going to be. You don't know how and when these things will be consumed, so you need to do it more efficiently. That project started first with the Avid MediaCentral Platform so, one thing they (JTV) were excited about was, "Does that mean we can improve the graphics production capabilities with the Avid MediaCentral Platform?" BZ: On August 10, you said the Avid Everywhere strategy was continuing to resonate with customers. What tells you that's happening? LH: I think there are a few ways to measure it. Obviously, we're in contact with core clients. In addition, many of the new products are doing very well. The VENUE S6L won best in show at InfoComm and the Avid ISIS 1000 won Coolest New Product at NAB. That’s funny to me, by the way, because the ISIS 1000 is a storage product. We're competing with virtual reality and 4K, and the storage product gets the award. It's a box, basically. In terms of units, we ended the quarter with about 26,000 MediaCentral Platform licenses. For a new product to have that kind of uptake is dramatic. We launched Pro Tools first, and pre-registration was at 130,000. That’s really for tier 3, a market we didn't actively go after. That had about 12,000 active paying subscribers, up about 130 percent since the end of the year. The reason these are growing so fast, the reason MediaCentral has grown over 70 percent since last year, the reason subscribers are going over 130 percent, is because existing customers are satisfied with the way it's working. That's probably the most exciting thing to me. BZ: What do you think will be the biggest challenge moving forward as you put all this together? 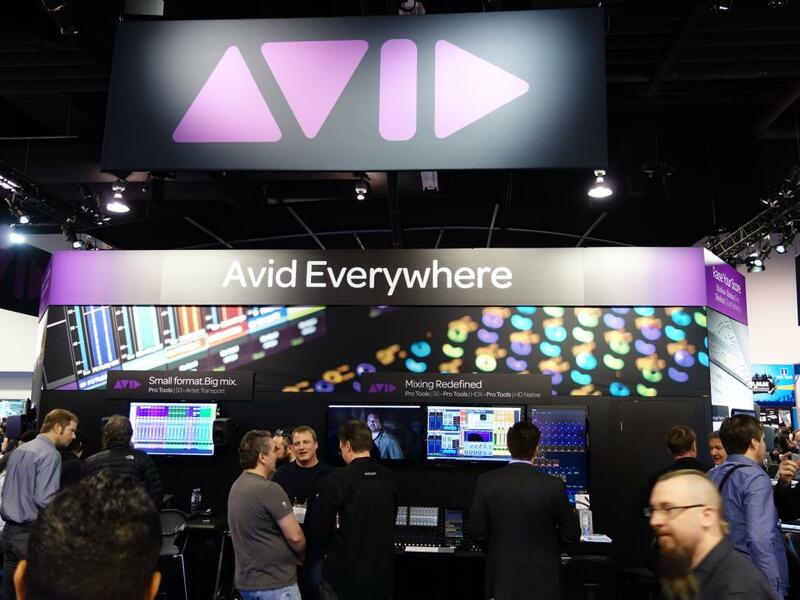 LH: Avid's about 50 percent through a major transformation. When we came in, it was obvious that we had an unbelievable brand and distribution in 140 countries. While we were important to our users, we were becoming less strategically relevant in terms of aligning with the biggest problems of the industry. We had to launch an ambitious three-pronged strategy that included re-platforming our entire product suite and launching new products to address some of the bigger issues. Now we're in the next phase where we're aligning by tier. We're putting the talent closer to the customers. For example, we just hired a new chief marketing officer, Kyle Kim-Hays, who will be based in Avid’s Burbank, California office. Kyle comes to Avid from Verizon Digital Media Services, where he was the vice president of product marketing. About 70 percent of our U.S. revenue is between New York and Los Angeles, and those are some of our smallest offices. We’re going to be changing that. If we do this right, Avid's going to be able to reclaim its position as the leader in digital media technologies. The biggest challenge to me is, we have to finish what we've started.